Home/druid, druidry, pagan, paganism, spirituality, wicca, witchcraft/I have a certificate you know! Yesterday I spent in the garden. I find it slightly ironic that the things we do to relax, like gardening, often leave you feeling more knackered than before. My body might have taken a little battering but my soul is soothed and at peace after a perfect combination of an intense weekend in Glastonbury followed by a day pottering around in the garden. 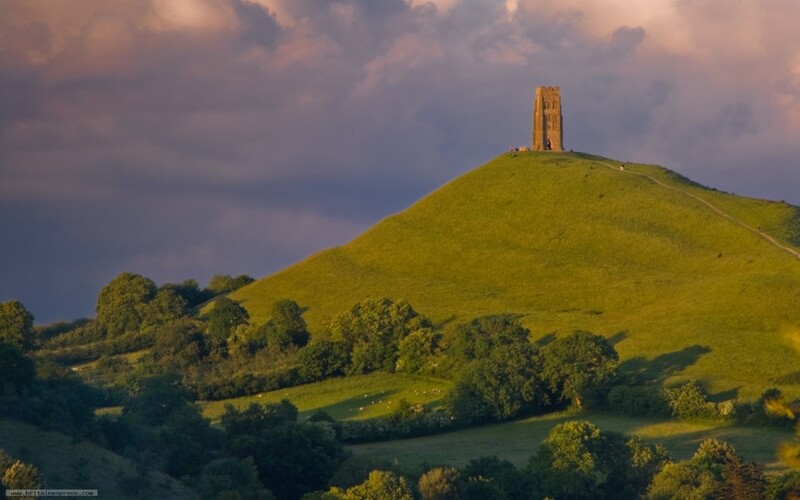 The OBOD gatherings are held twice a year in Glastonbury and they are a joyous thing to be part of. Many order members contribute to creating a magical time. Damh co-ordinates each gathering, so myself and a few of our fabulous grove members are recruited in to run the hospitality side. This gives us a chance to meet everyone and our weekend is spent in service to our druid community. Being in the kitchen most of the time we get to be in the thick of the action, sharing life stories, travel stories, hugs and laughter over the kitchen counter with members of the order who have traveled from all parts of the globe. Around two hundred druids travelled from far an wide: from various parts of Britain, from many of our sister islands, across mainland Europe, the U.S, even as far away as Brazil and Australia. All have gathered in one global community with a comminality of spiritual experience via the OBOD courses. It is that comminality of journey that affords all a place of comfort and eases and allows the free flow of deep, soulfull conversation with perfect strangers from half the world away. The team makes sure the town hall is ready for everyone. On that first evening people begin to drift in with their beautiful handmade grove banners. Banners from far flung places are hung about the walls until the place resembles a medieval hall full of heraldic colours. There an altar is always built at the center of the hall, in the summer it is made by the bards who, being the largest group, have their grove gathering in that space, in the winter the centre is filled with branches of misteltoe gathered in ritual from a nearby farm. Bit by bit the old town hall is transformed and takes on a magical air, it feels as if the place remembers us and welcomes us back. Having hit the supermarket earlier, we stash the necessaries behind the counter in the kitchen; there is enough eco cups, glasses, plates, fruit juice, tea, biscuits and wine to feed an army. The water cauldrons are primed and ready, the water jugs are topped up with slices of lemon, mint, grapefruit and cucumber and our special this summer, whole carrot! Don’t ask, honestly the carrot water was a just a bit of a laugh, but it went down well. The team then retire to the italian restaurant for our traditional evening dinner before rolling back to our various abodes. We have to be in before anyone else to switch on the urns for the hot water, so it’s an early start to an intense two days of love bombing and spiritual communion. There is a saying that the best parties are in the kitchen, so it is at the gatherings. The kitchen is the hub, between the talks and rituals everyone finds themselves drawn to the kitchen for refreshments so the atmosphere is always heady with excited chatter and pure pleasure as people catch up with old friends or make new ones as they jostle in the line for a teabag and a turn at the hot water tap. The Gathering went well, as they always do, the first day full of grove meetings, talks and a ritual on the Tor, all rounded off in the evening with a wealth of poetry and music. The following morning began with many attending the dawn ritual at the Avebury stone circle, catching the coach at four in the morning is a task of endurance after the party the night before. The weather was kind, this year no one was left behind to wander lost in the stones until someone returned for them, all returned a little damp and somewhat chilly to drift into the kitchen around nine o’clock seeking coffee and a biscuit, the team did not dissappoint. A few more talks and a meditation filled the rest of the morning, after people had been suitably warmed and awaked by their hot bevarage then it was time to pack it all up for the journey home. It is always over too quickly, there is never enough time to speak to everyone but it leaves us wanting more and waiting with baited breath for the next one in six months time. I spent the time in the garden reflecting on the weekend and thanking the gods that I was guided to the OBOD journey. I began the OBOD journey twenty years ago next year and completed my OBOD gwersi many years back now, I have my certificate somewhere, and it has given me so much more than the words contained in the accumulation of booklets. It showed me many paths I might not have found had I not been opened to the seed thoughts and ideas it contained. I spent too many years as a lonely person, feeling on the outside of life, an oddity never finding a comfortable place to fit, but on the journey I found friends all over the world, I discovered skills I never knew I had, and it all gave me purpose and a place in the world. I have been accepted as the opinionated, odd and, all too often, socially inept human that I am and I am both grateful and humbled by this acceptance. Mind you I am not a slave to the words contained in the Gwersi, I am not bound to the letter of the framework set out in them, as always I carve my own path and speak my own heartfelt words when it comes to ritual, for me it is that that makes a path authentic and empowering. However without the community and the guidance I gleaned I think I might still have been struggling for a place in what has always been a hostile world. Despite long reflection and more planting the garden still looks a bit of a bomb site, a work in progress as all gardens are, but it is slowly coming together again. I wish I were the kind of gardener that could have a complete vision of all the planting and stick to it. I do actually have a diploma in garden design from horticultural college, another certificate stashed somwhere, and intended to start a spiritual gardens design business, so the training is there. But in reality I am the worse kind plant person. I am an impulsive purchaser, always fatally bedazzled by the sumptous jewels dancing and swaying in the garden centres. I spend far too much money on plants that I then have to rearrange the whole garden to fit in. I feel no shame in this really I am happy to be seduced and then spend hours shifting and moving the garden around, yelling at the dog to keep off my fragile beauties and constantly demanding cups of tea. Damh barely even twitches now when I say “I’m off to the garden centre, won’t be long” he has learned to understand the solace and reflective qualities that gardening offers and only barely flinches at the parade of new plants being marched through the house when I only went out for a bag of bird seed. Gardening and Druidry go hand in hand for me, both are an ever evolving spiritual journey. There can never be a difinitive garden either of the soul or the earthly kind, both need constant weeding and tending lest they fall into neglect and become something unloved and uncared for, stale or stunted. As we tend and rejuvenate our gardens we muse and reflect on our life journeys, the things that have worked and the things we needed to weed out for the good of the garden as a whole. I am pround of both my druid and garden design certificates as well as the ones for counselling, Reiki and various others I have accrude over the years either for work or spiritual growth, though none of them reside on a wall they are flowers in my etheric garden. I might also have added my horticultural NVQ 3 certificates to the list as I did all the course work, if only I had taken the exams, but as I say the garden is never really finished. The storm outside seems to have abated and the plants have had another epic watering and what with a fabulous trip to the U.S last week and the uplifting Gathering this weekend, my gardens, both of soul and the earth are blossoming nicely. Uh oh – so sorry about the misspell Cerri – I lost an i!